Alice in Wonderland theme inspired baby bibs make cute baby gifts. Order all three! They're sure to put a smile on the expecting parents. This listing is for 1 Alice in Wonderland design custom bib. 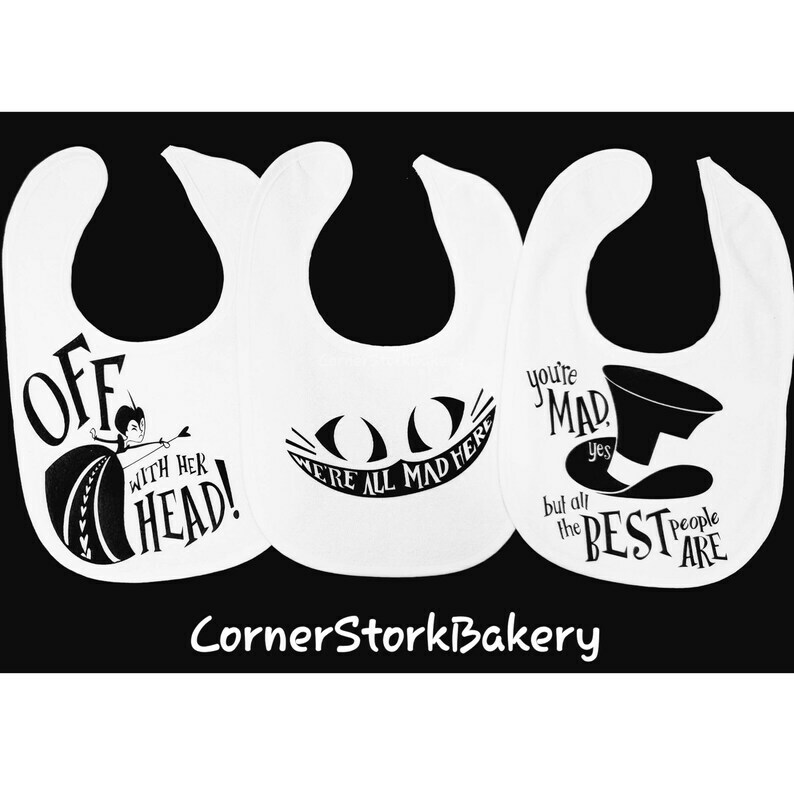 • 1 white bib with Alice in Wonderland design made with black htv. Can be made in different colors per request.